A great piece of cast iron cookware gets hot everywhere. Lodge's collection of accessories - handle holders, brushes, scrapers, and many more. These colourful silicone hot handle holders keep your hands safe in style.Fits most traditional Lodge cast iron assist handles. Set includes a cast iron skillet and a red hot handle holder. Since 1896, the Lodge family has been casting premium iron cookware at our Tennessee foundry. As the sole American manufacturer of cast iron cookware, we are proud to carry on the legacy started by our great grandfather Joseph Lodge. We don`t just make products; we make heirlooms that bring people together for generations. At home in the backyard, the backwoods, or the ballgame. Brutally tough for decades of cooking. For the ultimate in cooking comfort we recommend our two piece set of silicone lined Handle Holders. Lodge teamed up with legendary ball glove maker Nokona to create this premium leather handle holder. As a natural compliment to cast iron, Lodge crafted the Seasoned Steel line with its core customers in mind. 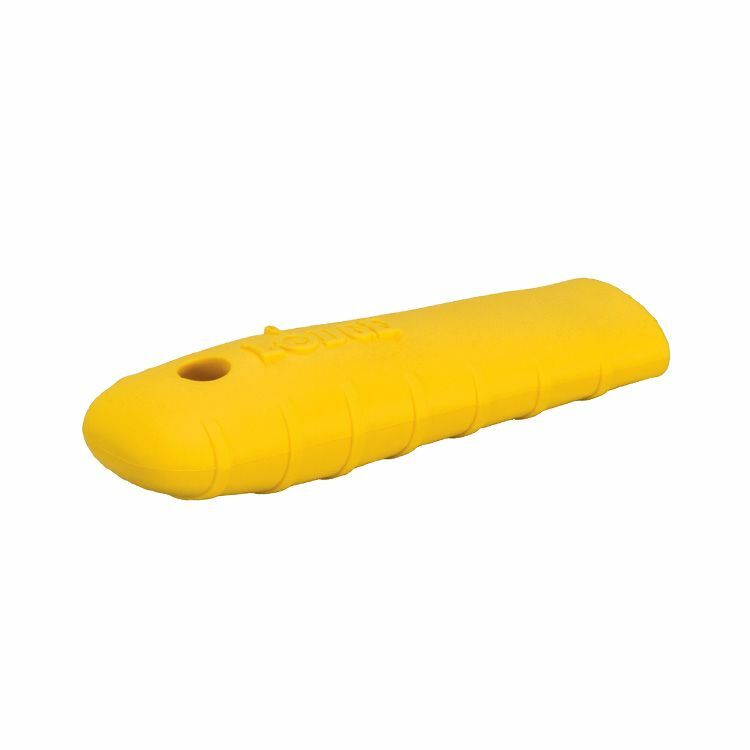 Silicone Heat Handle Holder, Yellow A great piece of cast iron cookware gets hot everywhere. Lodge's collection of accessories - handle holders, brushes, scrapers, and many more.